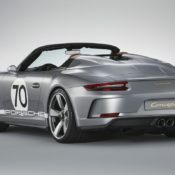 Porsche is being really active with the brand’s 70th anniversary celebrations. 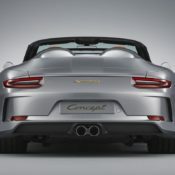 After revealing the Taycan as the name of the production Mission E, they are giving us a taste of the upcoming Speedster 911 with the new Porsche 911 Speedster Concept. 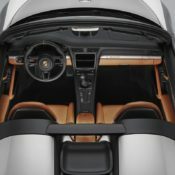 This concept is a sort of Greatest Hits version of the current generation 911 presented in the exciting form of a Speedster and infused with a good dose of history. 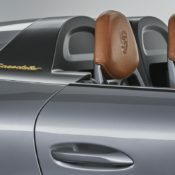 The livery design and the tonneau top of the Porsche 911 Speedster Concept come from the 1948 Porsche 356 “No. 1” Roadster. Sadly, you won’t be able to buy this car. 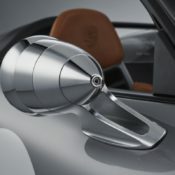 But as mentioned there is new production Speedster coming, so don’t despair if you are loving what you see here. 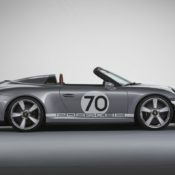 apart from the two-tone livery though, this Porsche 911 Speedster Concept is also special under the skin. 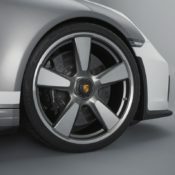 The components making up this car come from a number of high-end 911 variants. 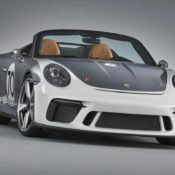 The whole thing is based on a Carrera 4 Cabriolet, the chassis comes from a GT3, and you have a 500 horsepower and six speed manual gearbox form the 911 R. But the Speedster gets a number of bespoke parts as well. 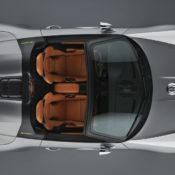 There is the obvious Speedster hump at the back, the Talbot side mirrors, carbon fiber bonnet with racing car-like fuel filler, gold-plated Speedster lettering, opaque X on the headlights, and for the first time FUCHS wheels with a center lock system. 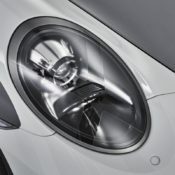 There is also a titanium exhaust system. 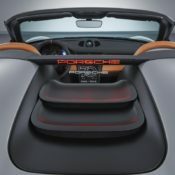 Other highlights of this superb concept include a lightweight tonneau cover in place of a convertible top which is fixed in place using eight Tenax fasteners, and a special interior featuring Full Bucket Seats with carbon fiber chassis and light brown natural leather in Cognac covers. Navigation, radio and air conditioning systems have all been removed to reduce weight. 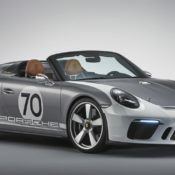 The post Porsche 911 Speedster Concept Is a 70th Anniversary Special appeared first on Motorward.